Accelerate your career at Hot Docs Festival with real-world skill development and in-depth labs for emerging and sophomore Canadian talent. Doc Accelerator fellows will participate in a bespoke private lab during the Hot Docs Festival where they will learn from industry experts and engage in hands-on workshops before participating in the Festival’s full slate of industry programming. The program will focus on skills training and career advancement with a goal to foster an inclusive new generation of Canadian documentary filmmakers. At the 2019 Festival, 18 filmmakers have been selected to participate in the Doc Accelerator Emerging Filmmaker lab. 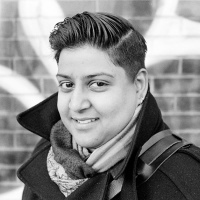 Lu Asfaha is a Toronto storyteller and filmmaker. Her films often explore identity, queerness and how things fall apart. Most recently, she wrote and directed the CBC short documentary Freedom Summer and the dark fantasy short Paladin. She is currently proud to have been on the post production team for CBC’s Mr. Jane and Finch and developing her next project. 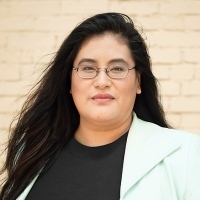 Adeline Bird is a Afro-indigenous podcaster, filmmaker, and radio host from treaty four territory Rolling River First Nations, but resides on treaty one territory, Winnipeg, Manitoba. 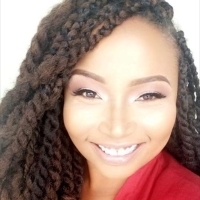 She’s the host and founder of the Soul Unexpected podcast, and author of the book Be Unapologetically You: A Self-Love Guide for Women of Color. Adeline is a recent graduate of the National Screening Institutes CBC New Indigenous Voices program where she made her directorial debut with her first short film Nappy Hair and Eagle Feather. Adeline is also one of the 2018 Imgainative APTN pitch winners for a webseries titled iNdigiStyle. Andréanne Germain’s love of movies began in the 90s, when she’d skip school to catch a weekday matinee from the back row of the theatre, feet up on the musty seats below. 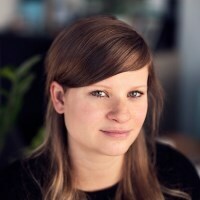 A French Canadian filmmaker and picture editor, she has directed docs for the National Film Board of Canada, couchsurfed across Europe to produce documentary content for TV5’s Müvmédia and has worked in feature film distribution for Universal Studios. Her work has been broadcast on Radio-Canada, TFO, TV5, Canal D, TVO, screened at at the Montreal International Documentary Festival, Toronto’s Cinéfranco Festival and the Festival international du cinéma francophone en Acadie. When she isn’t working on her own projects, she finds herself editing branded content for various agencies. Andréanne Germain studied film production at Ryerson University and is based in Sudbury, Ontario. Heather Hatch is a Haida filmmaker who has used film as a medium to dive deep into her own roots. In her stories, she introduces you to the humans behind the politics, bringing a warmth and sincerity that is unique to who she is as a person and a filmmaker. Her first documentary, Woman Who Returns, premiered at the Edmonton International Film Festival and was shown at seven additional festivals. It is currently available on the CBC digital platform. Heather has worked as a writer for the documentary Peace River Rising and as a producer, writer and Haida consultant for the CBC Kids pilot Girl Who Talks to the Moon. Currently, she is working on feature-length social documentary The People vs Goliath after receiving Telefilm Talent to Watch funding. She was named on of Whistler Film Festival’s Indigenous Filmmaker Fellowship Finalists for her writing. 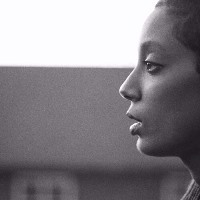 Renata Mohamed is a filmmaker and artist based in Toronto. She is graduate of the Integrated Media program at the Ontario College of Art & Design (now OCADU). Her first short film Coolie Gyal has screened at more than 50 international festivals, including the Images Festival in Toronto and the Lesbian and Gay Film Festival in London, England. Renata has been involved with numerous arts organizations in Toronto and has served on various film festival and arts council juries. She has worked at the Liaison of Independent Filmmakers of Toronto (LIFT) in several roles and currently holds the position of Deputy Director. She is an alumni of the IDFAcademy, TIFF Talent Lab, the Independent Imaging Retreat (aka the Film Farm), and most recently the Toronto Arts Council and Banff Centre’s Leaders Lab. Born in the British Virgin Islands to Indo-Guyanese parents, her work aims to explore the intersectionality of Caribbean, disaporic and queer identities through a documentary and experimental lens. Winnipeg filmmaker and member of York Factory First Nation, Charlene Moore is passionate about storytelling and highlighting Canadian issues that affect Indigenous Peoples. 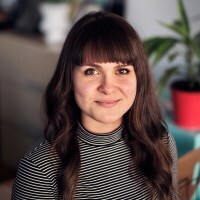 She has completed two Bachelor of Arts degrees in Indigenous Studies and Film at the University of Winnipeg, and is a co-organizer of the Indigenous Film Summit held in Winnipeg. Her recently completed film When the Children Left will be playing next year on APTN and CBC. As a Cree, Saulteaux, and Welsh woman, Charlene creates films that focus on identity, connection, and relationships. Charlene advocates for Indigenous Peoples to hold narrative sovereignty because she believes storytelling can be a powerful way for audiences to heal, learn, and explore. Currently, Charlene is working on her MA in Indigenous Governance at the University of Winnipeg and is developing her feature film Birthright, which follows her family’s healing journey to ceremony. A Palestinian, born and raised in Jordan, freelance photographer and filmmaker, Annie Sakkab is based in Canada and the Middle East. She is drawn to explore the customs, lifestyles and values that characterize her subjects. Annie seeks long-form narrative with a focus on women’s issues and social justice. With her work, she raises questions of identity and awareness of the experiences of exile, uprooting and displacement among marginalized groups. Her long-term project, A Familiar Stranger, challenges contemporary western views and constructs of Middle Eastern women, and raises larger questions of how we perceive repression and freedom. Her work is published in Canadian and international medias including The New York Times, The Globe and Mail, Bloomberg News and NBC News, and worked for various organizations such as United Nations High Commissioner for Refugees (UNHCR), Mercy Corps and Danish Refugee Council (DRC). Annie is a member of Muse Projects and Women Photograph. Trudy Stewart is a Cree storyteller based in Regina, Saskatchewan, and proud member of the Flying Dust First Nation. She has co-written, co-directed and produced the documentary RIIS from Amnesia (2015), and wrote and directed the short documentary From Up North (2017), which won the International Indigenous Award at the Wairoa Maori Film Festival in New Zealand. 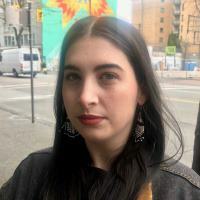 She is also a film programmer with imagineNATIVE, associate producer on nîpawistamâsowin: We Will Stand Up—directed by Tasha Hubbard and Hot Docs 2019’s opening night film—and is currently writing her first feature film. Chris Strikes is an award-winning director who began his career in music videos working with top Canadian and international artists. In 2013, Chris received his first MMVA nomination for Pop Video of the Year for his video “Turn It Up” by Kardinal Offishall. In 2017, Chris’s animal awareness music video “Chains of Silence” for Stephanie Braganza collected three awards including the Best Music Video at the Global Music Awards and the Merit Award of Awareness. Chris’s skill set expands to writing, producing and directing short documentaries and short films. His short films have screened in festivals in Cannes, Toronto, Halifax, Hamilton, LA and London and Manchester, UK. 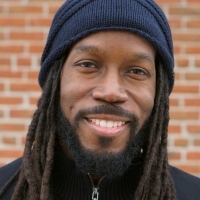 Currently, Chris is in post-production on a new documentary entitled Becoming A Queen, which spotlights a woman’s journey of becoming a revered Caribbean Carnival Queen. Kristina Wong is a Toronto-based director and producer. Often drawing from her Chinese-Canadian experiences, she strives to tell stories that are against the grain and have a female point-of-view. Her award-winning short films have screened at the Victoria Film Festival, Seattle Asian American Film Festival and have been acquisitioned by Bell Media. 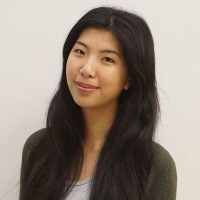 She’s currently in development with the NFB for a short documentary that won the gold prize at Reel Asian’s annual pitch competition and was a part of Reelworld’s Emerging 20 Program in 2018. 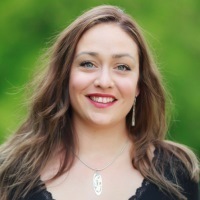 Jade Baxter is Nlaka’pamux and Irish from Skuppah, currently residing within the territories of the Musqueam, Skxwú7mesh, and Tsleil-Waututh nations. 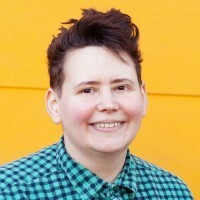 She is a filmmaker and Auntie engaged in co-opting western cinema practice and telling stories for her connected communities. Making art is her current strategy for challenging the state of settler colonialism, the other one is smoking fish. Her film works have been part of festivals such as ImagineNATIVE, DOXA, and Talking Stick Festival as well as the TESTIFY Indigenous Art + Law collective. Sarah Race is a photographer and filmmaker based in Vancouver, Canada. Sarah’s approach to visual media is about building relationships with her subjects in order to truly connect with their stories and share their experiences through her work. Her expansive portfolio includes editorial, event coverage, human rights activism and fine art photography. Over the years, Sarah has earned a reputation for portraits that celebrate the beauty and diversity of atypical, sometimes marginalized subjects; it is the core of her philosophy and work. Barbarian Press is her first short film and played at Hot Docs in 2016. 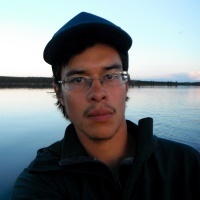 Michael Code is a cinematographer and aerial cinematographer based in Whitehorse, Yukon. Michael has worked on various productions including an eight-part wildlife series for Love Nature Channel. Michael is looking to transition into producing and directing his own documentary films. Growing up in Northern Manitoba and Yukon he has lived in the north for much of his life with brief stints in Norway for university. 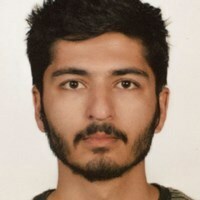 Ali Atif is a filmmaker and photographer who belongs to the Hunzavalley in the northern areas of Pakistan. He enrolled in the National College of Arts in Lahore, to broaden his knowledge of filmmaking. He is currently focused on making films concerning overlooked topics which exist in his native country. Tamana Ayazi is an AUAF BBA graduate, currently working as a filmmaker in Kabul. She is passionate about telling untold and unheard stories from Afghanistan to the world. Her skills lie in direction, production, and writing. She is a producer, known for Where the Light Shines and Journeys on the Edge. Ben Gilani is a filmmaker and writer living in Iran. His works include the documentary Riding the Rainbow, which was an official selection at the Abu Dhabi Film Festival in 2012. His other film works span the genres from documentary to comedy to drama. He holds a BA from the University of Humberside in the UK and an MFA in movie directing from Melviz University in Canada. 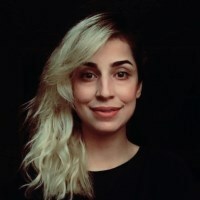 Mina Keshavarz is a documentary film producer and director based in Tehran, who has received several international grants and prizes in support of her films. 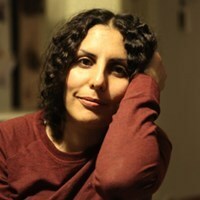 She has established her own documentary film production MinDoc in Tehran in 2013. 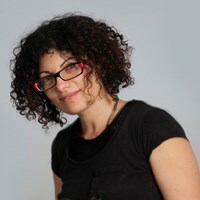 She produced and co-produced four documentary films, including interactive, short and feature length. Mina has been granted a full scholarship from New York Visual School to study master in social documentary. 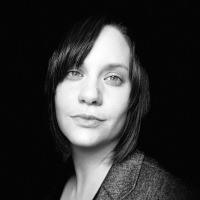 Sarah Mannering studied filmmaking as part of her bachelor degree at the Université du Québec à Montréal (Québec, Canada). She observed and learned how to produce while working as a coordinator at micro_scope, a feature fiction production company. She then co-founded her own production company, Colonelle Films, with her two partners in crime: Geneviève Dulude-De Celles (project development) and Fanny Drew (administration, production). The company supports emerging filmmakers and relies on film projects of all formats (short, feature, fiction, documentary), supported by a strong, singular, free and innovative author-driven vision. Colonelle Films has, so far, produced more than 20 films that have been selected and awarded at various international festivals, such as Sundance, Berlin, Locarno, Rotterdam, TIFF, in addition to being nominated at the Quebec Film Gala and Canadian Screen Awards. Fanny Drew studied at HEC Montreal, where she completed a Bachelor of Business Administration. She first worked as an auditor, before realizing that she needs to spend her time on creative projects. When she entered the world of production, she worked for a production company mainly focused on documentary. Her experience there gave her a new desire: to found her own production company. She co-founded Colonelle Films with her two partners: Geneviève Dulude-De Celles and Sarah Mannering. To this day, Colonelle Films has produced over 20 films that have been selected and awarded at prestigious international film festivals, such as Sundance, Berlin, TIFF, Locarno, Rotterdam. Their first feature film, A Colony , won the Crystal Bear in 2019 at the Berlinale amongst other meaningful awards and received seven nominations at the Canadian Screen Awards, including Best Motion Picture. Doc Accelerator fellows will receive Hot Docs alumni status upon completion of their participation in the Doc Accelerator Emerging Filmmaker Lab. View Alumni Benefits.